The process involving Bridgeport’s Indoor Recreation Complex has been a long one. And after several years, the unveiling of exactly what will be inside could be a month away. The emphasis, however, is on could. 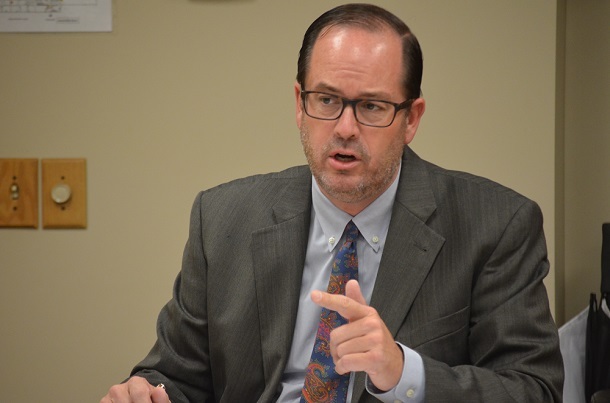 During the work session of Monday’s Bridgeport City Council meeting, Mayor Andy Lang announced the date he hopes the city’s governing body will be able to break down the details of what’s going to be included in the facility. The facility, funded by a 1 percent sales tax, will cost in the tens of millions of dollars. Lang has said multiple times, and repeated it last night, the reason Council hasn’t revealed the contents of the new facility is because costs have to be analyzed along with other factors before moving forward. Now, he said, Council is nearly at that point. The mayor said he gets asked frequently about what all will be inside the building. He said the more frequent question is when everything will be ready at the site off of Route 131 where earth work is already in full throttle. Discussion on the potential date for the reveal was held during a work session prior to Monday’s meeting that began at 6 p.m. There was no formal action during the regular meeting outside of comments from Council member John Wilson. Wilson offered praise to Bridgeport Police Chief John Walker and Deputy Chief Randy Hartley for their efforts in the city. He also praised the group for their involvement with the Harrison County Drug Task Force and the recent drug operation in Harrison County. Wilson said it was good to hear about the cooperation with various law enforcement agencies and the Task Force, which is chaired by Walker. In a final note, Wilson asked community members who are out walking in the evening to consider wearing reflective clothing or carry a flashlight. He said with the days getting shorter it could help avert a bad situation. After a 10-minute meeting, Council adjourned into executive session. They said there would be no formal action taken on any matter upon adjourning back into regular session. 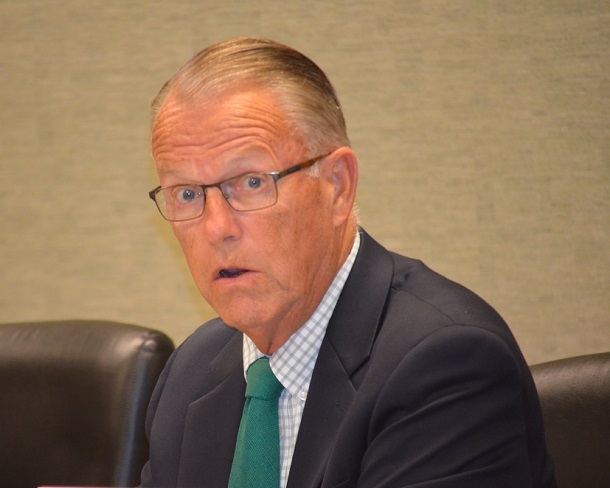 Editor's Note: Top photo shows Mayor Andy Lang, while Council member John Wilson is shown below.